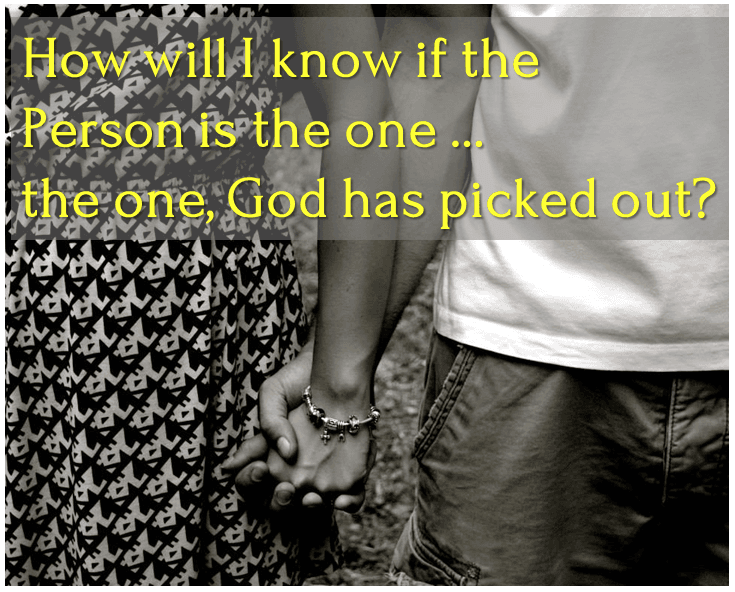 I hear many religious people state this romantic notion that "God has picked out a mate for me". Like it's a cosmic game. I see parents praying that God will send "the actual man or woman" for their child. Why do we place these constructs on ourselves? You are aware in Jesus day, you had no say in a marriage partner, yet Jesus taught about rich relationships that were available to the wedded partners. You did not go to the prom, there were no high school sweethearts. St. Valentine had not even been born. Santa Claus would have a better chance of sneaking down everyone's chimney in the world in 24 hours (a most perplexing problem for a young boy from Baltimore in 1959), then for you to find "your mate in a haystack". Since most of us know that there is no St. Nick, that makes it impossible. I say most of us, because, when I hear, what some people have created in their minds about God and relationships; I think some may still believe in the jolly elf. Back to reality. There are over 7,046,000,000 people on this earth. That's over seven billion! Now I know with the headlines telling us about our national debt; that this is not some great number, but let me put it in perspective. You are 40 times more likely to win the PowerBall lottery on any given week than find that one person God has picked out for you in the world of seven plus billion. Now don't be sending me comments on my bad math, but I was always good at ciphering and I can assure you the odds are not good. What if my mate is located in a nice one bedroom flat in Tampere Finland? That's a nice place. She might be a beautiful spiritual woman who would make a lovely mate. The mission, if you decide to accept it: is to find your one in a million mate, or is that one in a 7.05 billion. Wow! Is this some cosmic quiz? What if she or he passed by three and a half years ago? What if she/he was that guy/girl across the street that you never had the courage to speak with? That friend of a friend that you turned down? That girl or guy that was looking at you at..... the coffee shop, .......the train station...... the prom? You may have passed by at the airport, or shared a taxi? She/he could have been in the other cubicle. You never gave it a chance. Maybe you have already blown it. The five wasted minutes you took in idle chitchat with your friend caused you to miss the elevator. The elevator ride that could have changed .......everything. But you made your choice; he was the one. He was your Prince Charming. But now it looks like he could be a cross between Elmer Fudd and Archie Bunker. I hate the way he even chews his food! But, I was a good thoughtful human being, a good person. I'm serious, I prayed! I could not have been any more in love! "What God has put together ... let no man put asunder," echoed through the church hall in a Charlton Heston like accent; while my friends and family nodded in spiritual agreement. How can we all be so wrong? How can we all be so wrong 50% of the time? Actually given the earlier odds; it's a miracle that we hit the 50% mark, or is it? One could say it takes a miracle to make a relationship work. It does take a miracle, but the miracle is not in the choice of the mate, but in the choice of how one decides to relate. That sounds like an alliteration (which I hate) that Jesse Jackson would like. You see, this thing we call love and for that matter life; it is free and exist in the present. Here is where God exists, and this gift called love can only be found in the present. It's not out there somewhere, no more than your mate is out there. Love is here and now. When you live freely, present, out of your heart, you will find love inside of you. When you find a person who lives out of their heart, they can return that love. Why do we place the burden of responsibility for relationships with God; when He has indeed given us freedom. He made us in His image with the co-creative powers to create our destiny which is always to find love and beauty as well as create it. Your mission, should you decide to accept it: is to choose.... not a mate, but choose to love .... so that you build a relationship that will become a marriage. That is the miracle!